Master groups of three notes! 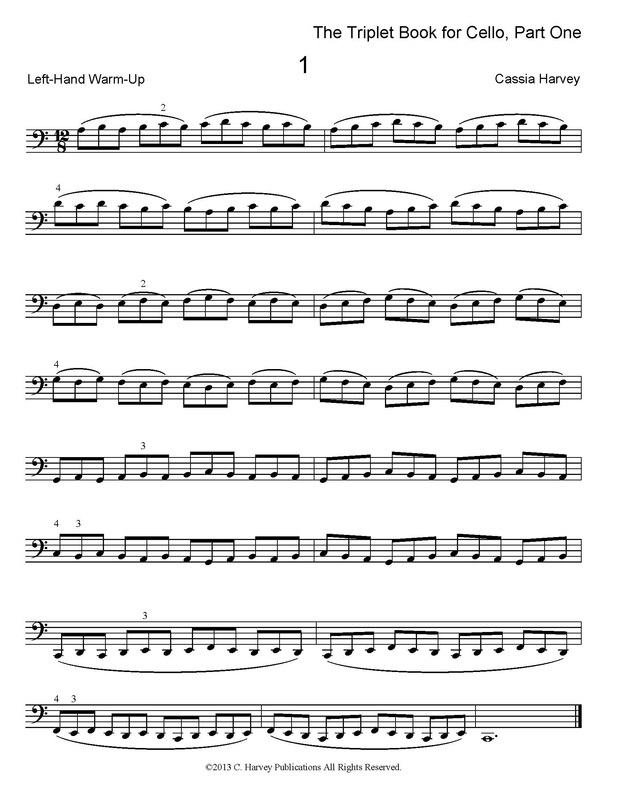 The Triplet Book for Cello, Part One helps you easily play pesky triplets. ​While it can be awkward and even difficult to play groups of three notes evenly, there is help! 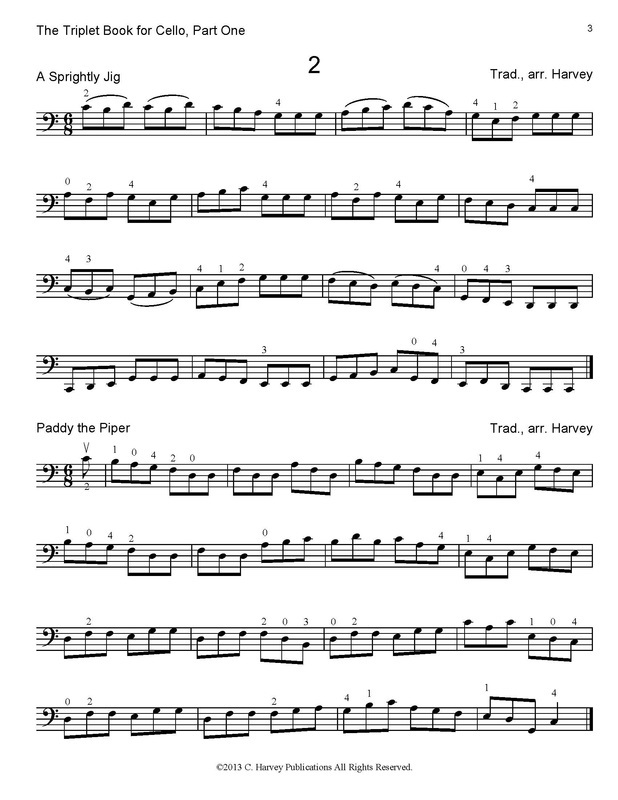 Using finger and bow studies and fiddle tunes, these cello exercises focus on helping you overcome specific difficulties in triplet playing. From the Breval Sonata in C Major and the Romberg Sonata in E minor to the Bach Solo Cello Suites, cello repertoire has triplets everywhere! Learning to play triplets well is essential. Who this book is for: Beginning and intermediate cello students who want to play triplets better. How to use this book: Play two pages at a time, at the beginning of your practice. This book can be used as as cello warm-up. Play with a metronome if possible. This book can be played after Finger Exercises for the Cello, Book One, and could be followed by The Triplet Book for Cello, Part Two.